0044 - Visit Dominican Republic two bedroom condo for rent in Sosua. 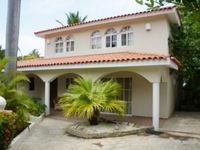 Property 14: 0044 - Visit Dominican Republic two bedroom condo for rent in Sosua. Property 26: luxurious villa in a beautiful setting with access to multiple beaches. Tropical Junior Suite Lifestyle Resort- Chairman's affiliate - VIP Gold Bands! Property 36: Tropical Junior Suite Lifestyle Resort- Chairman's affiliate - VIP Gold Bands! 7 Bedroom Villa - Lifestyle Resort - Chairman's Circle - VIP Gold bands! Property 40: 7 Bedroom Villa - Lifestyle Resort - Chairman's Circle - VIP Gold bands! Enjoy the luxury you deserve in the comfort of your villa! 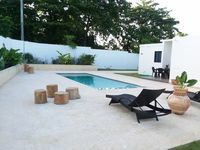 Property 48: Enjoy the luxury you deserve in the comfort of your villa! John was an excellent host and was able to answer all of my questions. The Lifestyle Vacation resort suited our needs really well as there were many pools, beach fronts, restaurants, friendly staff and most importantly a great night life. The highlight of this trip was the restaurants and the food, so if you really like all inclusive resorts and enjoy eating at 4/5 star restaurants this is the place to go! I loved the house, my stay was great. everything clean and in order.